My name is Matthew Grant Anson and I am three weeks away from my 21st birthday. But that's not what my ID said while I waited in line at the Blue Café in Long Beach to see French black metal act Alcest. The ID I had with me said my name was Ryan Takashi Inouye, a 21-year-old organ donor from Hawaii. It sounded like a ruse straight out of Superbad, because while I am an organ donor, I'm not from Hawaii. And more importantly, I do not look Asian. But driving the distance to Long Beach with my roommate's ID for a 21+ show was worth the risk to return the favor of a band that has taken so many of their own musical risks over its lifetime. And when the bald, 300 pound bouncer gazed lazily at Ryan's ID and waved me through to bask in the soundscapes of Alcest, I knew the stars had aligned for something special. First up, however, was Destroy Judas. I'd never heard of these guys before, but it only took a few seconds before their general schtick became apparent: post metal. Speaking as someone whose all time favorite band is Isis, I know good post metal when I hear it/see it, the same way I know when I'm listening to a lackluster attempt. Destroy Judas falls into that first category. In fact, they come across as a European version of Isis, despite the fact that these guys are American. With the characteristic meandering songs of their genre, the band doesn't bother attempting to reinvent the wheel, since they're content with perfecting a genre founded around subtlety and sonic expansion. And with vocals coming from two guitarists and a projected video of ocean scenes in the background, Destroy Judas played a set that should be remembered by all audience members in attendance as one of the best sets by an opener they'd ever seen. 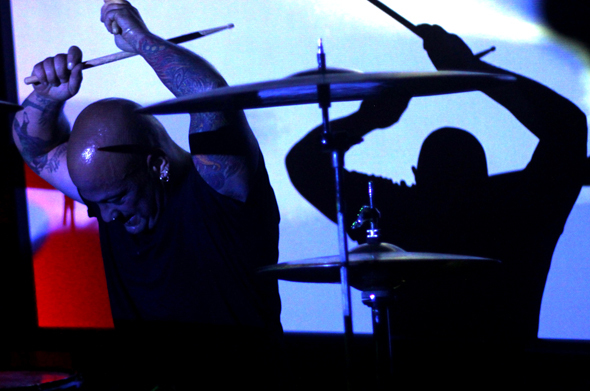 Following the post metal mastery of Destroy Judas was Lake of Blood, a band that has made small ripples in what has become a huge ocean of underground American black metal. Having entered into my own consciousness prior to the show by releasing a split or two with Kentucky's Panopticon, my anticipation for this act was high. And they were a sight to behold. With vocals coming from an obese man, a drummer that can count himself as one of the few actual black musicians in black metal, and a random bandmember whose soul purpose seemed to be playing inaudible sound effects and waving around incense, Lake of Blood was like nothing I'd expected them to be. And yet they were still satisfying. The only knock on them came in the frequent loss of tempo by the drummer, but if you took into account the Necrophagist shirt of one of the guitarists, it almost made it feel like some extra technical addition to what is generally a fairly simplistic genre. 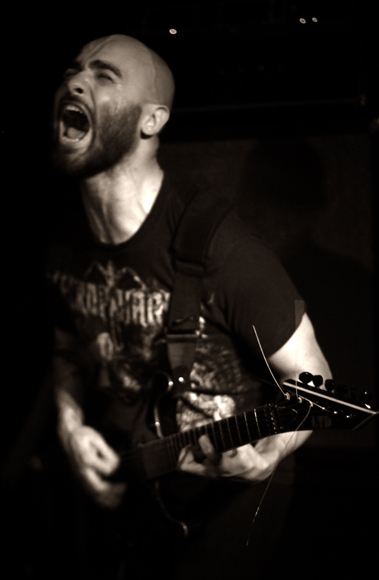 Following Lake of Blood's black metal onslaught was something completely different. Ides of Gemini, another band I'd never listened to and had only heard of through brief mentionings on the almighty Internet, are a three piece whose two female members dress in what seem like extremely uncomfortable dresses from the 1800s. It makes for an interesting effect, but it doesn't do much to distract from a sound that just wasn't up my alley. Doom metal has always been high on misses and low on hits for me, and this is no exception. And yet they received the most favorable response from the audience out of all the openers, so they must be doing something right. So because of my own aversion to the genre and everyone else in the building's appreciation of their sound, my own rating can be taken with a huge helping of salt. Alcest has been making waves in the black metal community since 2000 via their startling combination of black metal's bite with the trance-inducing strumming of shoegaze, with lyrics sung entirely in French for an extra dose of obscurity. And considering the niche nature of their sound, it was no surprise that the band found itself in a venue amounting to little more than a basement below a restaurant, a space low on light (but high on weirdos) with the only illumination coming in green and red, giving an eerie Christmas glow to the pale, glum faces of an audience decked out in all black. And yet it only took a few reverb-drenched guitar chords and a steadily puffing fog machine for Alcest to transform the dingy venue into the far off, imaginary lands described in the lyrics of front-man Niege. 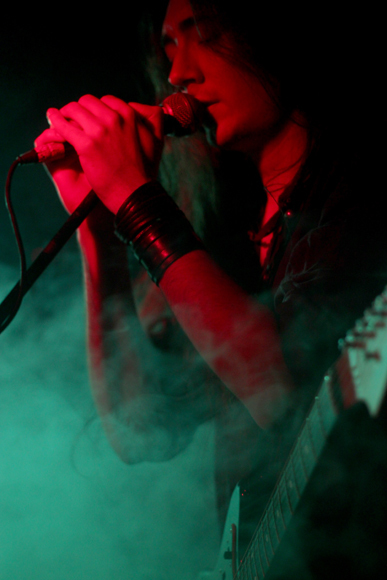 With songs that meandered aimlessly into double digit minute lengths, the hypnotized crowd swayed to the gentle caress that made up a majority Alcest’s set for the night, punctuated only by moments where Niege shelved the angelic vocals in favor of depressive shrieks, one of the last holdovers from the band's black metal past. 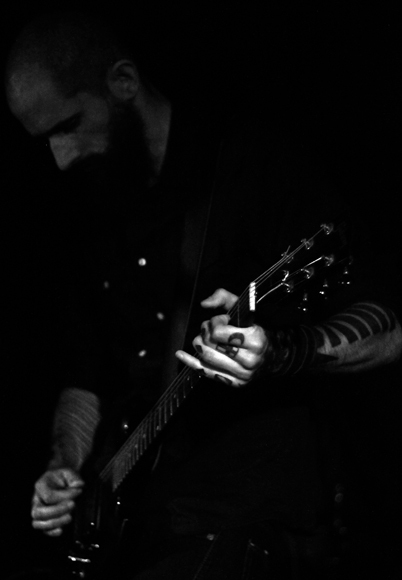 The dichotomy of the gentle with the extreme magnified both, where the black metal sunk its teeth into each audience member while the shoegaze served as a melancholy anesthetic. It was enough to make one woman with closely shorn hair briefly double over after two songs, coming back up after composing herself and wiping away her tears. It was powerful, it was beautiful, it was crippling. 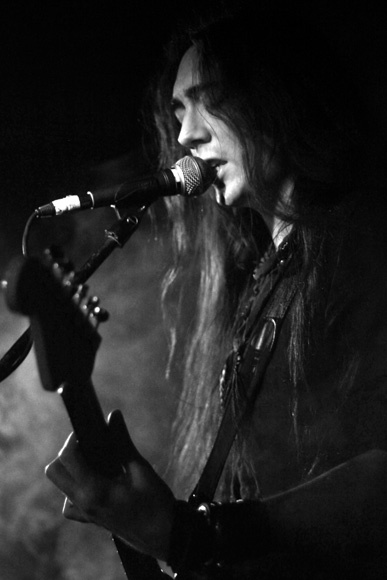 It was Alcest: so many things at once, and yet something entirely new. And you didn’t have to be 21 to feel it.